Madame Mahj has done it again! How cute are these MIniature Wrap-Ups?!! 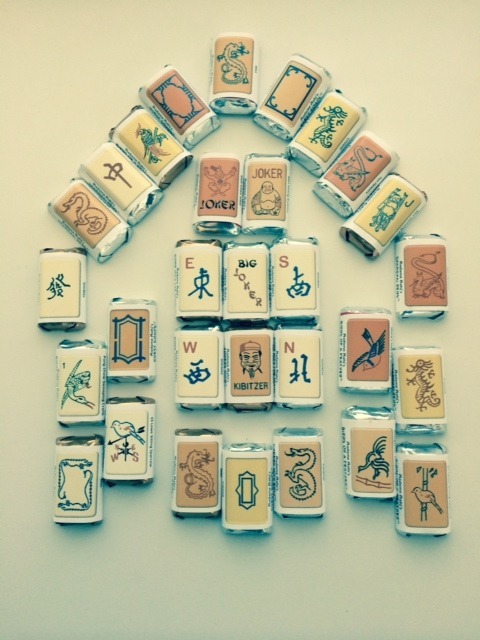 The package contains 30 different vintage Mah Jongg tile designs plus a glue stick. All you have to do is provide the mini-chocolate bars (I used Hershey’s Assorted Miniatures), glide the glue stick across the edge, wrap the tile design tightly around the chocolate bar, and press the glued edge down lightly. As Madame Mahj explains, the wrapper designs are inspired by vintage Cardinal, Crisloid, Eastern, ES Lowe, Gimbles, Macy’s, Met, Pung Chow, Rottgames, Royal Games, and Ten Flowers Mah Jongg sets. 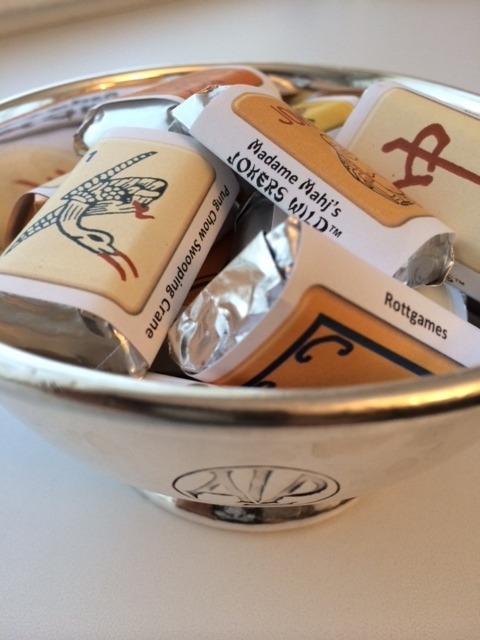 I can’t wait to serve these tomorrow at our weekly Mah Jongg game – it’s my turn to host!